It’s that time of year again, full of ‘resolutions’ and change. So we thought of one, why not get all of those niggly car worries out of the way in one fell swoop to get things off to a good start? We know it’s cold outside (for us Europeans), but working up the courage to actually get out early on in the morning and doing a good few hours of work in the garage (if you have one) can be the most rewarding feeling afterwards. So why not? Like most parts on a vehicle, spark plugs eventually wear out. When the spark jumps between the gap of the centre and ground electrodes microscopic amounts of metal are eroded away from both tips. Over time this gap can increase so much that the spark can no longer jump the gap. However, this is rare with most modern plugs and will usually only occur with a massive amount of around 60-100,000 miles on a single set, or when the fuel/air mixture has been incorrect for some time. If your cars history is shabby it’s worth doing ASAP. Old plugs and HT leads can cause all kinds of performance problems. 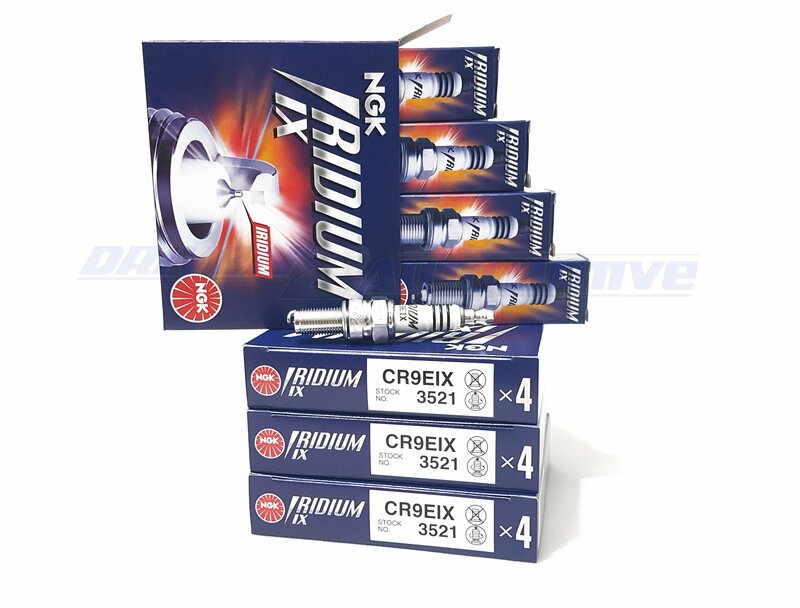 Did you know that Iridium is one of the most corrosion resistant metals on earth? Hence the reason spark plug manufactures jumped at the chance to utilize it. 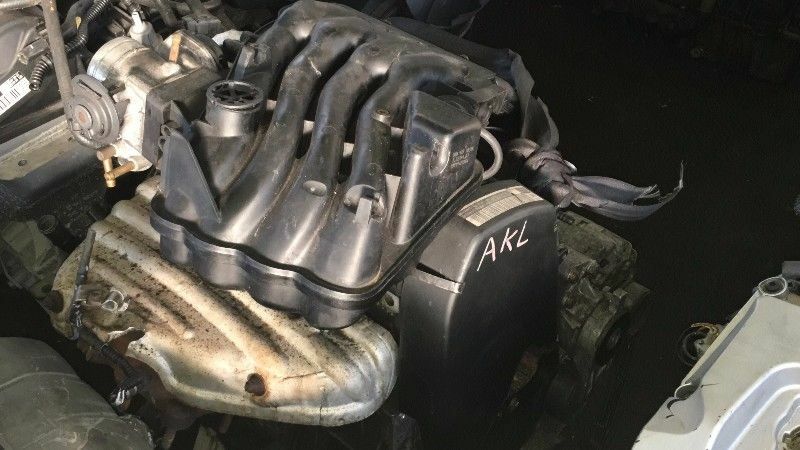 We recommend changing plugs every other year or at a major service interval to ensure you’re getting the most fuel efficiency and performance possible from the engine, yet also the chances of plug seizure in the cylinder head are far slimmer. Although the threads on spark plugs these days usually come with a zinc-plated anti-seizure coating, some people may find on older engines with a traditional exposed plug type design, seizure may occur more often. To find the correct plugs for your vehicle, simply go to either NGK’s official Part Finder website or Denso’s e-catalogue then search in our shop for the correct plug. On most modern 4-cylinder cars it can be done in around 30 minutes or so. However, some engine designers seem to love making it a painstaking process. Take the engine as shown beside for example, which features inlet manifolds that route over the top of the engine. Access to the plugs on these engines is impossible without taking the whole inlet assembly off, and even then you need new inlet gaskets on re-installation. Buy genuine plugs from our shop here. 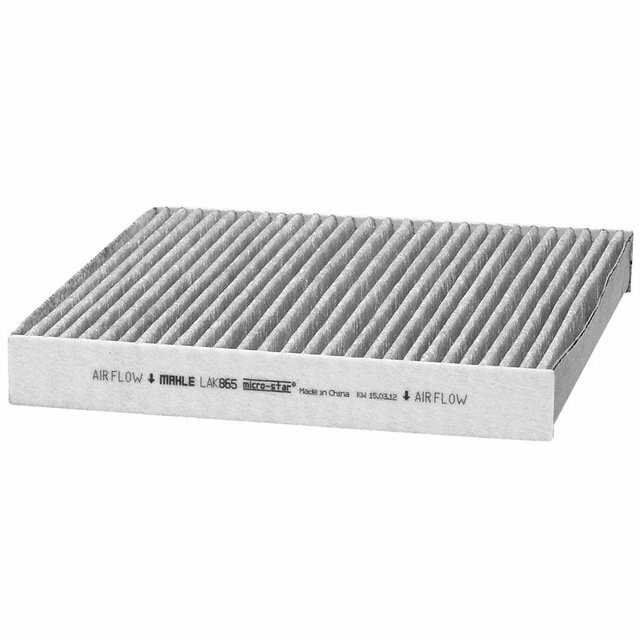 A pollen or cabin filter is essential in keeping the air that flows into the cabin clean and fresh for all passengers. These filters help reduce pollen (obviously) for drivers suffering from hayfever and dust allergies. The filter also helps maintain the performance of your ventilation and air conditioning system. 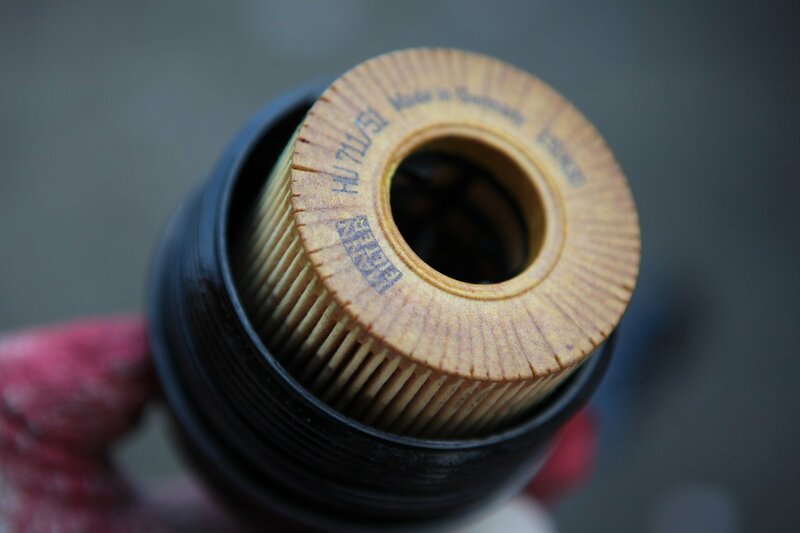 Truth is, it seems that the ‘optional’ pollen filter during a routine service at a garage is one of the most overlooked service parts to ever exist, and one of the only parts that the average person who tinkers with cars sometimes may never of heard of. If there’s a mildew type of unpleasant smell coming from the vents, replace this filter to see if it makes any difference. Over time they become clogged up with dirt, dust, grime, leaves and even small insects; I mean, nobody wants to breathe that in! 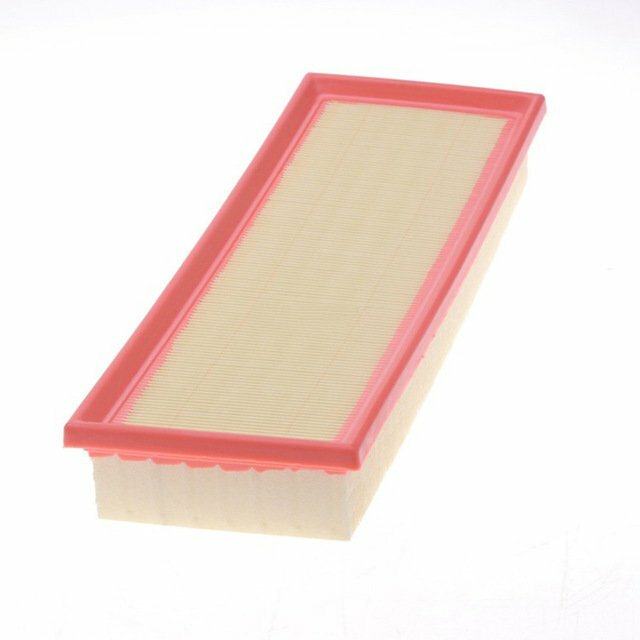 Pollen filters are generally easy to replace at home, however take note than due them often being overlooked, trim panels may be difficult to remove and the plastic can become brittle. These filters should ideally be changed yearly to avoid any troubles or future sneezes. Studies have shown that fuel economy can be improved by up to 14% with a clean air filter. They’re the ‘breathable barrier’ that safeguards the engine and intake sensors from all kinds of debris so it’s a must that this is replaced yearly. If the air filter is dirty and clogged up, engine performance & fuel economy will be significantly reduced as a smaller volume of air is entering the engine. The filters are also one of the easiest parts to replace on a vehicle as they can be renewed in under 10 minutes. 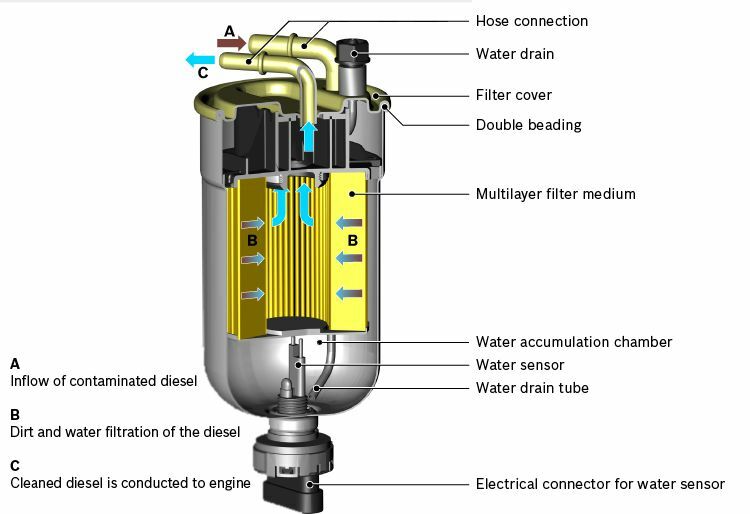 The purpose of the fuel filter is to collect contaminants and moisture in the fuel system to allow the engine to run on clean, filtered fuel. This is essential for the injector performance to be maintained as contaminated particles even as small of 5 microns need to be kept at bay. Note: Always wear gloves when doing a fuel filter change. To replace an in-line fuel filter type, you need to remove the fuel pump fuse from the fuse box and then try to start the engine. Have no fears doing this, the engine won’t run for long as no fuel is being delivered. The purpose for this it to depressurized the fuel system and pipes so that you can remove the filter without spraying fuel everywhere in your face. Fit the new filter then reinstall the fuse. Turn the ignition on and off a few times to prime the fuel system then off you go! To replace a cartridge type fuel filter, get some rags and wrap them around the filter housing to soak up any fuel spillage when you take the cover off. Pull up hard on the filter and it should pop up. Make sure when fitting the new one that it’s located correctly in the housing and then remount the cover. Varies depending on the type of fuel filter, generally the in-line type filters that are mounted underneath the car take far longer as you need to jack up the car. Cartridge type fuel filters are much quicker. We’ve all heard of oil changes, but the importance of not delaying the procedure is sometimes crucial. If you’re pretty savvy with DIY then it’s rather straightforward. You’ll save money on labor costs doing it yourself and extend the life of your engine by thousands of miles. There is a huge myth around which is that black engine oil means it’s bad and broken down. This is simply untrue, the colour is in fact due to carbon deposits from the combustion process and nothing to do with how much lifetime is left. You can try it yourself by performing an oil change and then taking a drive for just 15 minutes. Draining it afterwards will find that it’s already turned a darkish black colour. The best method to see to what condition the oil is in (with it still in th engine) is to use the dipstick and rub a little inbetween your fingers, if it feels like thin like water with no lubrication then it’s definitely time for an oil change. However if it still feels like oil with no resistance then all is good. Ideally you want the car to be on a flat non-sloped surface, this helps the oil to drain better. Also when refilling with fresh oil you won’t risk under or overfilling. If the engine is cold, start it and let it run for five minutes to warm the oil to help aid draining. If it’s already hot, wait at least 30 minutes to avoid getting burnt. Always use axle stands. Never work under a car that’s supported by a jack only! Never use an adjustable wrench on the sump / drain plug. We recommend using a 1/2 inch wrench for the sump plug and the correct sized socket. Use new oil to coat the oil filter gasket before spinning it on. Always tighten the filter according to the torque specifications usually found on the filter or filter cap. The basic rule is to try and check your car tyres every week, especially if you’re doing high mileage. For winter driving, a minimum of 3mm tread depth is recommended. Take note that in cold temperatures, tyres can lose up to 1-2psi per 10°C of temperature drop. 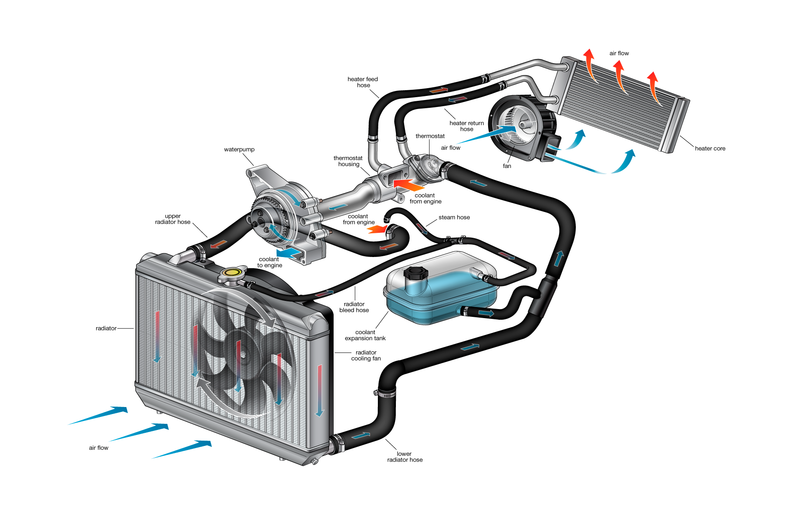 – To check your coolant, make sure that the car is on a flat surface and that the engine is cold. – Open the bonnet and locate the coolant expansion tank / reservoir. As said above please make sure the engine is cold, you definitely don’t want to check the coolant when the engines hot as it will still be around 90°C and under very high pressure. This fluid can cause burns and also the fact that it’s highly poisonous means you don’t want any steam from the expansion tank going in your face. Hot coolant expands as well therefore rendering any reading false. 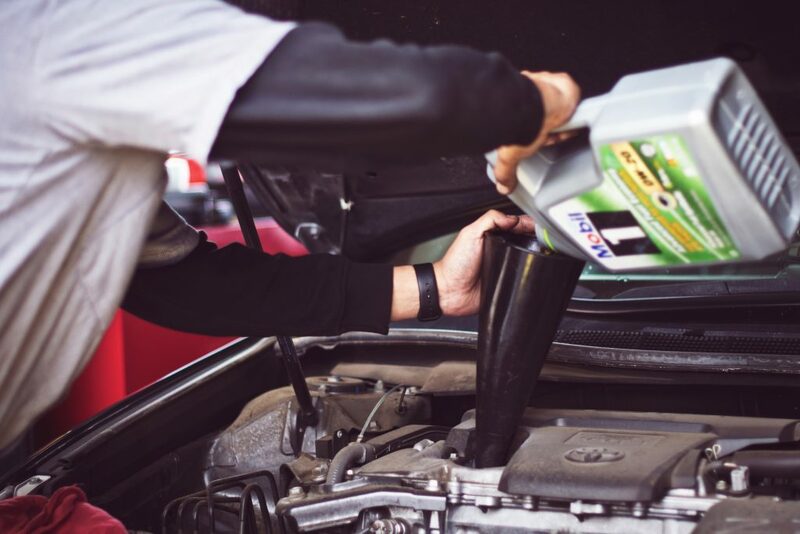 – Check the fluid level is in-between the min and max mark, usually coolant reservoirs have a bright coloured cap on them with “Engine coolant only” displayed. 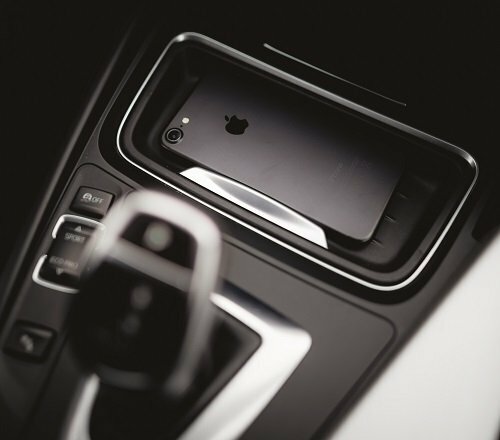 – Coolant levels should not change over time, but if yours seems to be going down quickly then unfortunately there’s a problem somewhere in the coolants ‘closed loop’ system. The first place to start would be to add a UV specialised dye to the coolant and then by using a UV torch in the dark, check to see if there’s any leaks around the radiator / feed pipes. Be sure though to make sure the engine is up to operating temperature to allow the thermostat to open. This opens the coolants circuit to all components. If you can’t spot a leak anywhere then it maybe something far more serious, this is when you may need to purchase a blown head-gasket detection kit. What the kit does is takes a sample of the coolant liquid from the reservoir tank which is then mixed with a special solution to check if there’s any sign of exhaust chemicals present. If there is, the fluid will change colour (usually yellow) due to a chemical reaction. It means that the head-gasket is partly blown and in-turn letting exhaust gases into the coolant system, which is not GOOD! Perform a battery test by following our guide here. We also recommend taking off the battery terminals (remove negative first) and cleaning the battery terminals as over time these build up lots of corrosion. Perform a simple light check to make sure they’re all functioning properly, you will need someone to help with this unless you have reflections from windows etc. With all of the above sorted, hopefully you’ll have a happy problem free motoring year or two!